Monday night, Alabama and Georgia faced off in the College Football National Championship game. 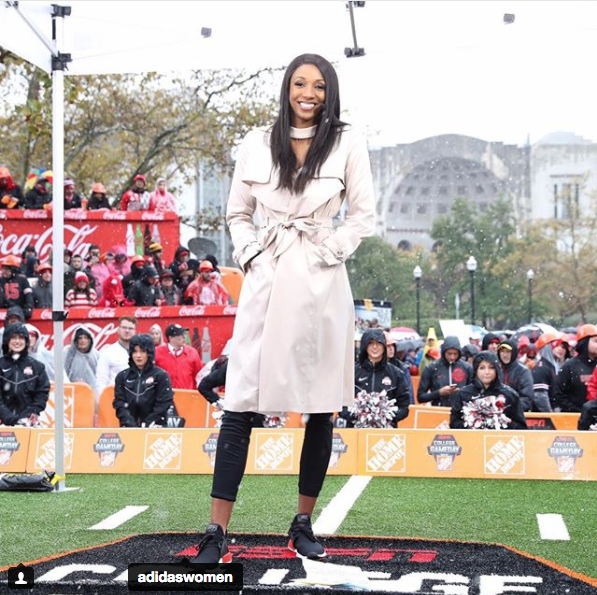 While much attention was obviously played to the athletes and coaches on the field, you may have also seen Maria Taylor, as ESPN analyst and sideline reporter who recently opened up about her faith, reporting throughout the game. As Sports Spectrum reported, Taylor, a Georgia native, graduated the University of Georgia with a broadcast degree in 2009 and later returned to complete her master’s in business administration in 2013. During her undergraduate years, she played volleyball and basketball. It was during that time that she also developed her relationship with Christ. Through her roommate and teammates, Taylor began to attend Bible studies and started to recognize and appreciate the sense of peace and community that came from sharing her faith with others. She told Craft that while it took time to understand the role of God in her life and how she could best use her gifts and talents to serve Christ, she now takes comfort in knowing that she can rely on her faith in good times and bad.